John Inverso serves as the pastor of First United Methodist Church. He has a heart for helping people live authentically as followers of Jesus Christ and empowering believers to show God’s amazing love to everyone, everywhere, every time. He welcomes good conversations, great questions, and terrible jokes. 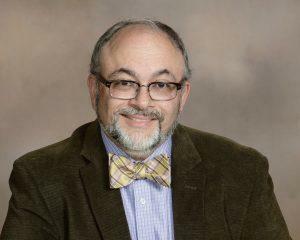 Prior to serving as the pastor of First UMC, John served as the pastor of Wenonah UMC and New Sharon UMC for eight years, and Open Doors Ministries for two years. He enjoys photography, videography, hiking, and traveling. He and his wife, Christy, have one son and one dog. Charlie has been a member of FUMC of Glassboro for the past 15 years and believes one of its greatest blessings is that we are a multigenerational church. We have the ability to reach new members while having members who have been part of church for over 50 years. Like the church, he has a passion for serving both the community and its youth and feels called to make sure that everyone has a place and feels at home at the FUMC of Glassboro. He is happily married to Paula and the proud father of twins, Rachel and Samuel and has a dog, Angel. Brian has 13 plus years in banking as a Branch Manager and also worked as the Director of Development for the Greater NJ UMC Conference until July 2018. It has been a blessing for Brian to work with the children and adults in the church to find ways to learn more about our Lord and have fun while doing it. While he is not working or involved with some type of community activity, he enjoys going on cruises, going to Ocean City NJ and socializing with friends and family. Brian resides in Glassboro NJ with his wife Sarah and Golden Retriever, Bailey. Sarah Mickle has been a professional musician, educator, and director for 12 years. She graduated from West Chester University in 2007 with a B.M. in Music Education, a minor in Music History, and a performance concentration in piano and voice. She is passionate about the arts and feels beyond blessed to have the opportunity to serve her church and community through music and arts. Sarah is currently the Choir Director at Pitman High School and maintains a private piano teaching studio out of her home. She resides in Glassboro with her husband, Brian, and golden retriever, Bailey. In her spare time, Sarah enjoys anything creative, Zumba, and being outside enjoying God’s creation. 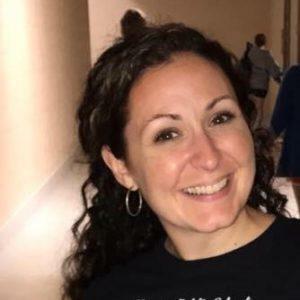 Melodie Norton grew up attending FUMC in Tuckerton, NJ and participating in youth and young adult ministries for Greater NJ Annual Conference. She moved to Glassboro, NJ in August 2009 to attend Rowan University. 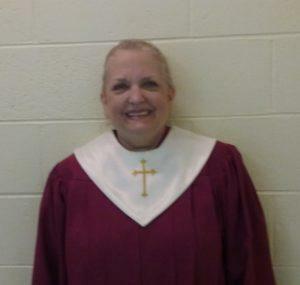 While earning her degree in history and education she found a home here at FUMC Glassboro. 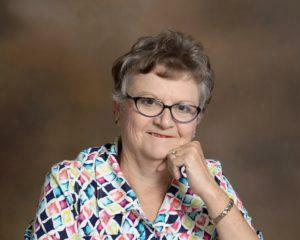 She began teaching Sunday School and quickly became involved with several other ministries. While in college, Melodie saw a need for college-aged and young adult ministries and was determined to reach those seeking a home here in Glassboro. Melodie and her husband, Alan, lovingly refer to their home as the “Nortonage” as it is always open to students who need a home cooked meal and a comfy couch to relax on. The college students love to stop over to snuggle their 2 pups, Annie and Frodo, or hold their bearded dragon, Zippy. I am happily married to my husband, Jerry. We have one son & three daughters and five grandsons & two granddaughters. I was raised in a Christian home and live with Jesus as my loving Lord and Savior. I have played piano for 56 years and took my first organist position at the age of 12. I am also the organist at St. Johns’ United Methodist Church. Praise God from Whom all blessings flow!